Sunshine Rewards is excited to to once again offer an exclusive coupon for a member favorite merchant, Pro Source Fitness. To help you keep your new year fitness resolutions, they have given us an exclusive 25% off coupon (SUNSHINE25) good through January 31. Plus, you will earn 4% cash back through SR on purchases. Orders over $39 get free shipping. Pro Source is a a terrific merchant for so many different types of exercise equipment from medicine balls to resistance bands, kettlebells, jump ropes, and even massage balls. Yoga mat prices start at around $10. Resistance bands start at $8. Use the 25% off coupon on top of their great prices and you will get deals you won't find anywhere else! Products come with a 30-day money back guarantee so you have nothing to lose. 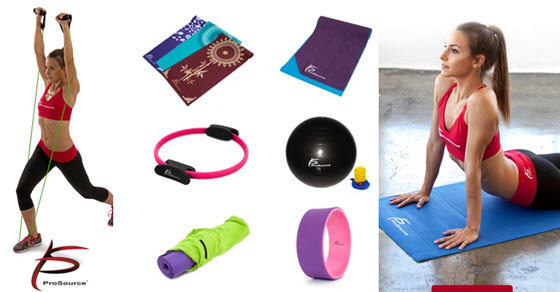 Take advantage of Pro Source Fitness coupon code SUNSHINE25 today to save 25% on cross training equipment, rollers and muscle therapy, strength and toning, and more.